The Artful Maven: Extra! Extra! Stamp All About It! 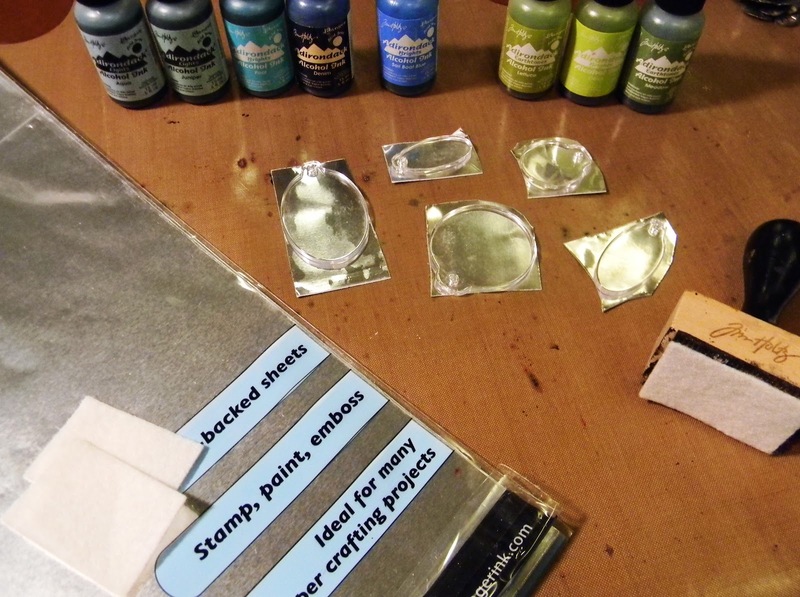 Almost every stamper has at least one stamp that they love but don’t use. Or, it could be a stamp that they haven’t used, don’t know what to use it on, or otherwise aren’t really using. Maybe it’s brand new, maybe it is years old. If you are one of those stampers then now is the time. 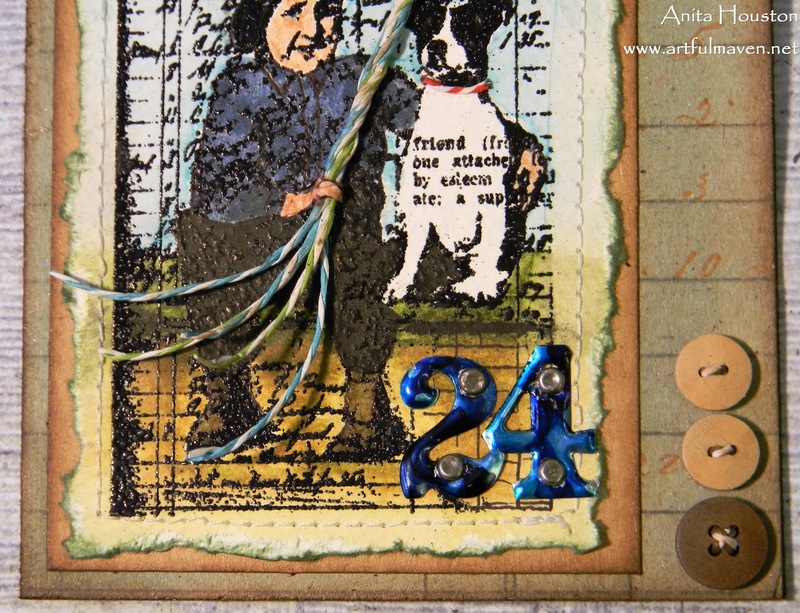 The challenge this week at Simon Says Stamp & Show is "The Stamp I Love But Don't Use". So grab that stamp, and use it some way on a project. 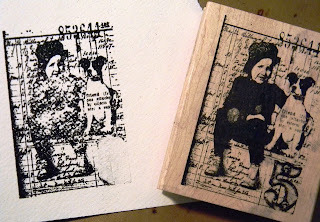 I love wood mounted stamps. There is just something about them. Perhaps it's the wood, or the ease of holding them, or the decor factor of them, or the ease of seeing them, all of the above probably, but I do just love them. However, I don't have many due to space and price, so the ones I buy I definitely have an affinity for. I have a handful, armful that is considering their size, that I haven't used yet, one being Tim's Best Friends image. I think this one is just so precious and innocent, and perfect for a card for my Godson. He and his wife just had a beautiful baby boy! I did tweak the number though to reflect the number of the day of the baby's birth. 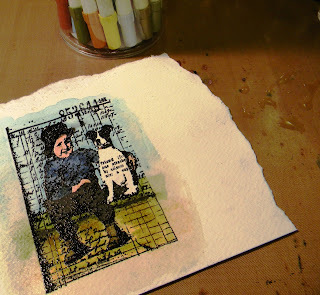 I stamped the image in Jet Black Archival onto watercolor paper and heat embossed it with Ranger's Black Embossing Powder. I colored in the image with Distress Markers and used a water brush to blend them. I also had another image just in case of a mishap and used it to cut up and make a few 3D parts, like the hat and hand of the boy. I tore this out carefully and stitched around the edges. I cut pieces of Metal Foil Tape to fit around into Fragment Charms. 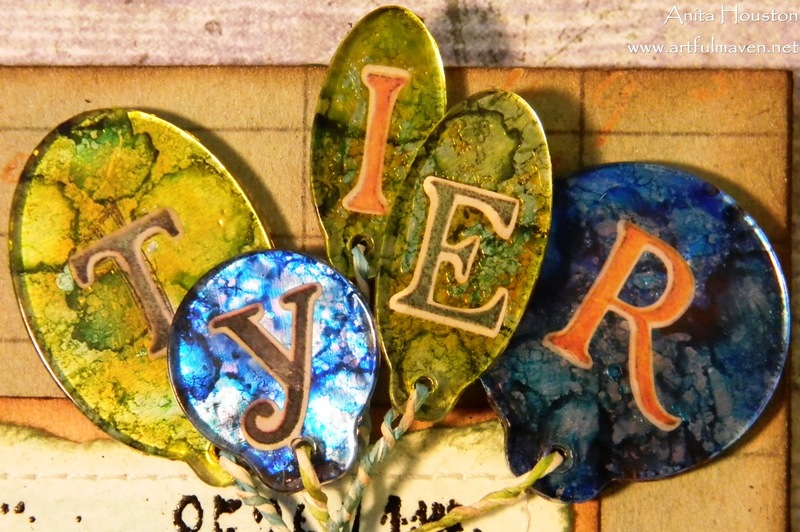 I applied Alcohol Inks in shades of blue of some and shades of green of the others. I adhered the letters on the Metal and then adhered the Fragment Charms onto the Metal and trimmed around them. 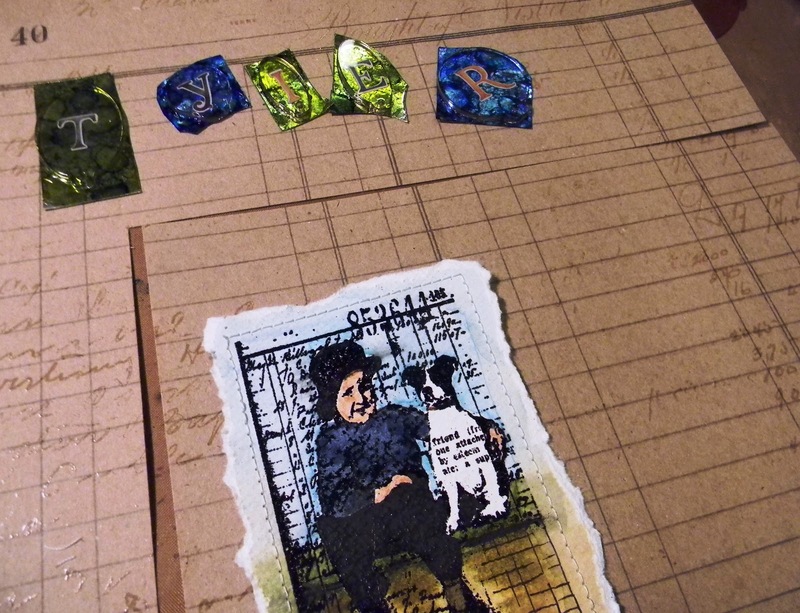 I also applied the blue Alcohol Ink onto the numbers 2 and 4. I cut out a piece of Kraft Resist for the base of the card, and stained it with Tumbled Glass. I inked around the edges of the torn piece with Bundled Sage Distress Ink, and mounted it on Kraft cardstock, and inked around it with Walnut Stain. I attached the number to it. I attached the image to the base card. I tied twine through the balloons and through wooden buttons and adhered all this onto the card. 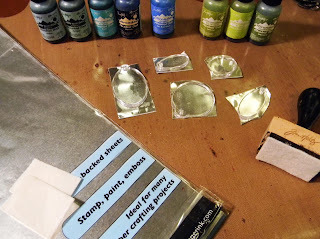 Do you love to stamp, and have so many to use but can't quite get each one inked up? If so, pick one of those newbies, ink it up, create your work of Art, and enter it into our challenge. 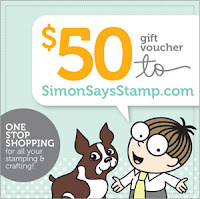 You just might be the lucky winner of a $50 voucher to Simon Says Stamp. You can also be named as one of the "Top Three Picks" for this challenge. 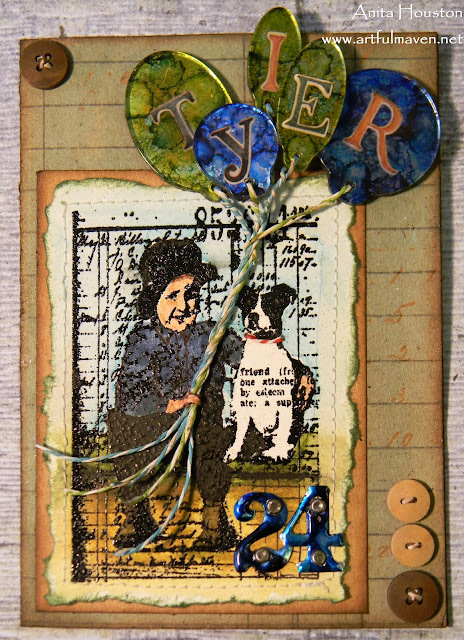 Good luck, and please visit the other DT member's blogs to check out their fabulous newly stamped up projects from this week. You might see some stamps you've never seen before! You picked one of my all time favorite stamps! 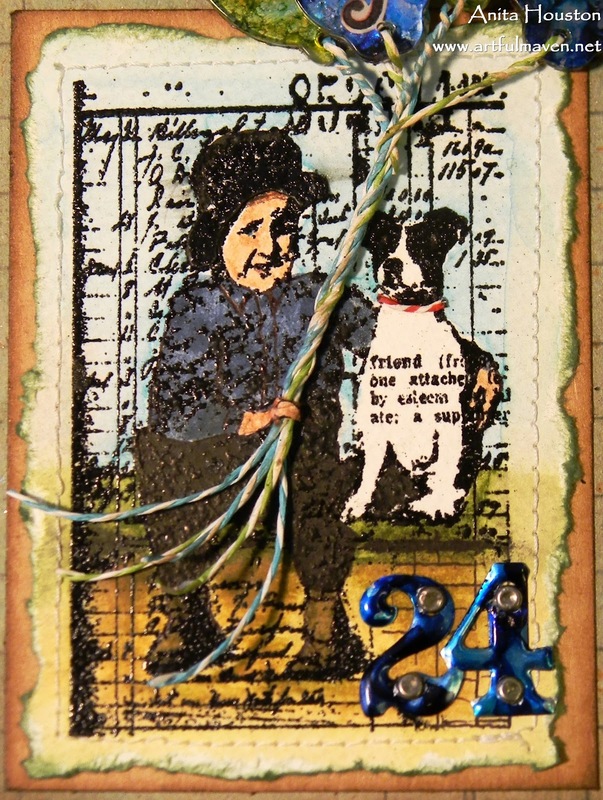 I love what you did with the twine, especially the dog's collar. The balloons are equally cool. Thanks for sharing all your great ideas!! What a great card, sure to be treasured. That's fantastic, the balloons look great. They will love it...You know how I love personalized cards! What an adorable image, I have never seen that one before. I love your balloons too! Yep, I have stamps I haven't used or have used rarely. I think I will use it because I love it, and either don't know what to do with it when I get it home, or I forget to use them for a specific occasion and then think "why didn't I use that stamp!". It really is an enchanting image - I can completely see why you love it, and you've given it the star treatment here! 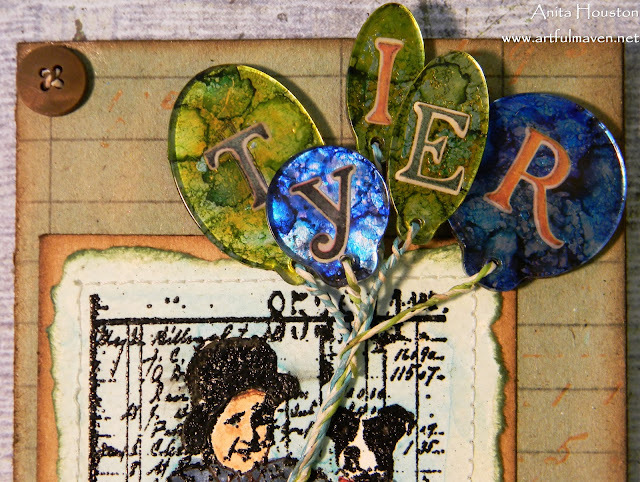 Beautiful tinting with the DMs, love the simply krafty background, and those balloons are a simply brilliant touch! Gorgeous, gorgeous. Wow!! !This card is amazing. I love it :) Balloons with letters representing the name is charming and beautiful. So gorgerous stamp you use. I also love the background is really stunning :) and all elements are fantastic. Wow, Anita! I love this one. 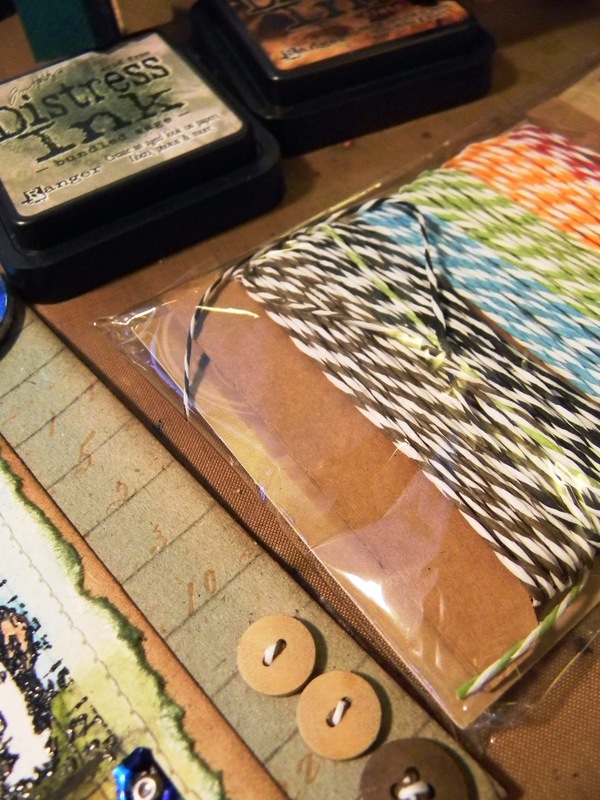 First, you have all that great texture from the embossing, twine, and paper piecing. And then those gorgeous, gorgeous, gorgeous (did I mention that I really , really, really like) the balloons! Wow! Talk about exciting! They really look as though they are floating aloft...such a great job on these. Coloring is fab...buttons are fab...numbers and letters are fab.....I LOVE this card! It's a keeper! And, I'm pinning it! What a fabulous card! Love the fragments as balloons and your customized number. A real gem for your godson and his wife! This is so sweet! Love the image and how you colored him. The balloons are just the perfect touch and so special with his name added to them! Fantastic make! Your work with the distress markers is excellent. I love what you did to make the charms into balloons. Thanks. Love that little boy and his dog! What a great image and how cool are those balloons? Enjoy the week! Anita, you know I'm not a cardmaker (been there, done that, not for me! 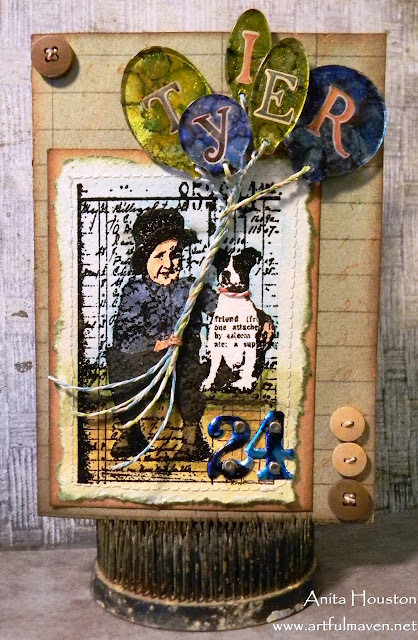 ), but I often see a card that serves as inspiration for a tag or art journal page for me. I have been struggling to find my mojo for a tag, and was thinking yesterday about some gorgeous Artistic Outpost stamps I have not used. THIS is the motivation I was looking for, and you know I ALWAYS love your work. I'll be a copy-cat again, for sure on this one! 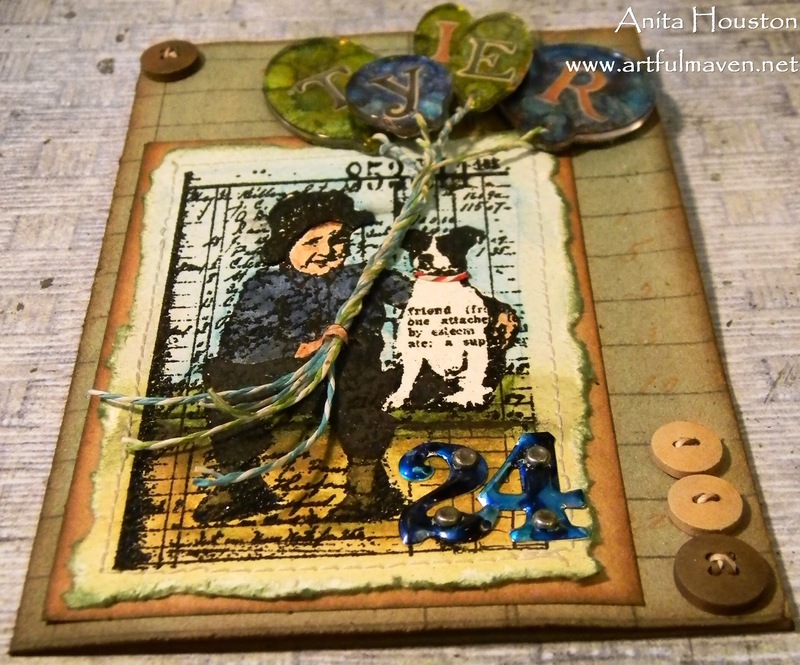 Beautiful card, Anita! I love your colors! And the charms as balloons are so clever. Congrats on your new Godson! 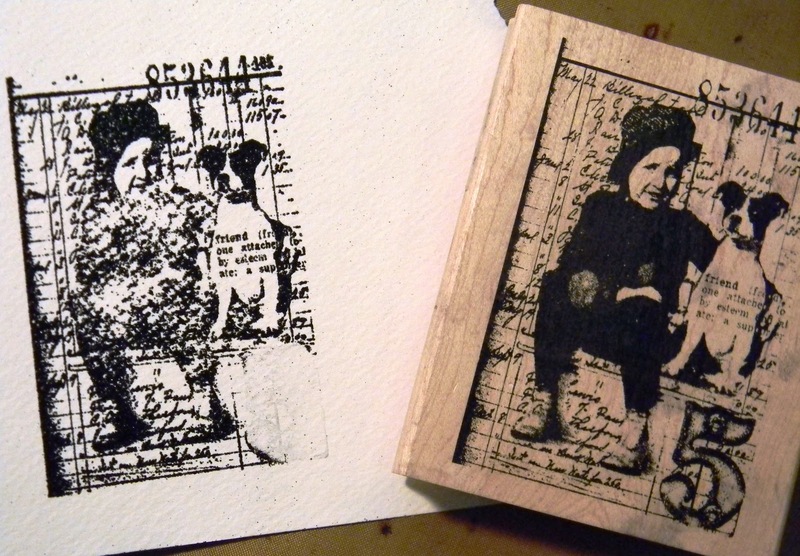 I have lots of wooden stamps and I love them all. Will have to choose one I have not used. What can I say that hasn't been said - I love everything about your delightful creation especially the balloons!! That's such an amazing birthday card, I love how you added the letter ballons!Really an unique creation! This is just delightful! I look forward to seeing what you will create next! Great image, a gorgeous card. Lovely card. Such a gorgeous image. Perfect for a baby card. This turned out so cool. Love the non-traditional baby card. It could certainly hang as a piece of art. The fragment balloons are beautiful and bright. Love the twine strings on them. The image is delightful and looks like one of those gorgeous old colourized photos.